M4Photo is happy to be attending yet another event held by Eclipse Gymnastics. We will be attending the club on the 8th October to take squad shots of the squad that is going to be performing at the London Festival on Sunday 19th October 2014. We will also be attending the Halloween Party, which is being held on Wednesday 22nd October 2014. We will have our backdrop and lights and hope to take some great photos of the gymnasts in their Halloween costumes. All the photos that are taken will be posted in the Eclipse album on our website, www.m4photo.co.uk. 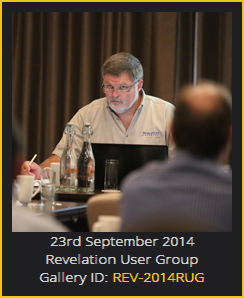 Revelation Software RUG Meeting Photographs published. #Revelation Software’s User Group Meeting in Ealing, London was a busy one with a full room, information packed presentations about the company’s #OpenInsight application development suite, a smashing lunch and some good photograph opportunities. As usual for me and I am going to have to break this habit, the lighting in the room was great for the meeting, but it was absolutely horrendous for photography and the bright presentation screen just added to the challenges to get some half decent photographs for the company’s social media pages – and all without the distraction of using flash. Furthermore, I learned the importance of keeping my tripod in the back of the car. Leaving home at 5.00am resulted in the tripod being left at home and it was sorely missed on the sands at Tenby in West Wales – Grrrrrr. However, a number of reasonable photographs were captured during the main day and they are now available from the new Revelation Software gallery on the www.m4Photo.co.uk website. The gallery also includes a few miscellaneous images from an overnight stay on Tenby. I hope that Revelation Software find some of them useful and also the meeting participants and their marketing departments. M4Photo is pleased to announce that Lauren has put into motion our plan to increase the performance of the M4Photo.co.uk website and the user experience. We plan to achieve these goals by focusing on our customer’s use of the website and monitoring page load times and other metrics. To achieve this we have recently incorporated Google Analytics into the website’s code. This uses a small tracking cookie to capture anonymised and non-invasive data about visits to our website. No personal details or identification details are recorded. Using Google Analytics we will be monitoring metrics such as; page loading times, how people find us and how people navigate through the website. As mentioned above, no personal details are needed in order to achieve this. Hello to all our M4Photo customers. 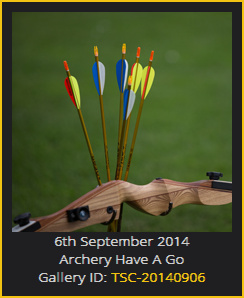 We have recently switched our emails from outlook.com to our m4photo.co.uk account. If you wish to get in touch with us, for whatever reason, you can now reach Martyn on martyn@m4photo.co.uk and you can reach me on lauren@m4photo.co.uk. Please update your email address books accordingly. Today, Archers of Raunds played host to the cadets and some of the parents of the cadets from TS Collingwood, Raunds Division. More at home on the water, most of the cadets showed that they can also turn their hands to archery and I think that a good time was had by all. As usual, I had my camera to hand and armed with the new Canon 2x Extender, I was able to take full advantage of the extra reach (up from 200mm to 400mm at full stretch) and came away with a few good photographs of the cadets shooting on the AoR Have-A-Go targets. The gallery has now been uploaded to the M4Photo website and it is accessible from the site’s Home Page and the usual gallery location page. The gallery is password protected and any of the cadets and their family members can get the username and password from John at TS Collingwood. As always, I hope that the cadets enjoy the photographs and a lasting reminder of a good afternoon that was had by all. Please post a review about M4Photo on www.freeindex.co.uk. When I started M4Photo I decided that I would use 2014 to undertake a number of photographic shoots for various local clubs and let my work build into a small portfolio that I hoped would speak for itself. Essentially, I then hoped that the word of mouth recommendations would kick in late 2014 and early 2015. However, things have already begun with a couple of wedding requests, some freelance work for a couple of major events with thousands of attendees, some local club work and some smaller private functions. I’m also looking forward to going back to Eclipse Gymnastics for an event or two at the end of the year. 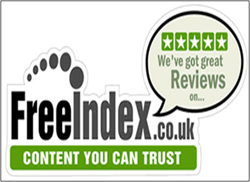 As there is clearly a demand for my work, I have signed up to FreeIndex.co.uk so that people can find me more easily and I can build up a portfolio of client reviews. If you have bought, been given or otherwise acquired one or more of my images and you like my work, I would welcome a favorable review on www.freeindex.co.uk. If you are unhappy with my work, please let me know and I’ll look to make some changes. For those of you with galleries on www.m4photo.co.uk, your main gallery page now includes a link to the FreeIndex website.